At the Law Offices of Amen, Gantner & Capriano, our estate planning and Medicaid services are designed to help you enjoy your retirement free from financial worry because your later years should truly be golden. With a solid estate plan and Medicaid plan in place, you never have to fear you or your spouse will be bankrupted if one of you goes into a nursing home. You can rest assured you’ll get the care you need, that you’ll leave a legacy behind for your loved ones, and that you can pass on your possessions to those you love the most. Far too many people believe creating an estate plan is just for the wealthy. The fact is, everyone should have a comprehensive estate plan in place and should get help with Medicaid planning to protect their assets. For Caregivers: The job of caring for someone with a physical or mental disability, such as Alzheimer’s disease, is one of the biggest challenges you will ever face. Often, caregivers put their needs on the back-burner, which leads to quickly becoming overwhelmed. Although caring for an aging loved one can be extremely difficult, there are tools available to help caregivers make the right decisions while also taking care of themselves, and an experienced attorney can help you to access those tools through proper legal planning. The Law Offices of Amen, Gantner & Capriano offer comprehensive, affordable estate planning so you have control over your own future. Whether you have millions in the bank or a small nest egg, our experienced and compassionate elder law attorneys have the knowledge to guide you through the creation of a comprehensive estate plan. 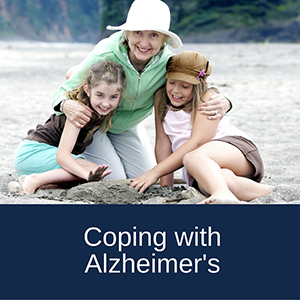 Coping with Alzheimer’s is difficult for patients and for families. Amen, Gantner & Capriano – Your Estate Matters, L.L.C. is here to help. Whether you have just received a diagnosis or whether Alzheimer’s has advanced to a more debilitating stage, we provide assistance in understanding and addressing legal and financial issues. When a medical emergency hits your family, knowing what to do next can be very difficult. You need to understand the process for getting care costs covered and must be cognizant of your rights and obligations when seeking nursing care. 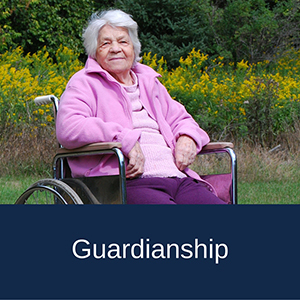 Guardianship and conservatorship are an option when an adult or child needs someone to look out for his or her interests. While most children have their parents as guardians, adults don’t have guardians except in limited situations where they are unable to make decisions or manage their own affairs. If you find yourself in a situation where a family member needs help managing his life, guardianship and conservatorship may be the answer. Many people desire hospice care at the end of their life, as hospice is designed to provide a better experience for patients and their families as patients transition. 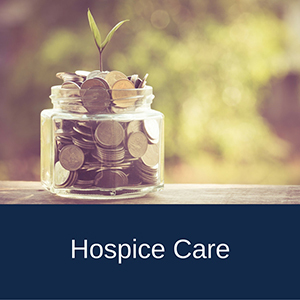 If you are interested in hospice care, it is beneficial to plan in advance to make your wishes known. A decision to go into hospice care also means it is time to make sure all of your affairs are in order so your loved ones are protected after you are gone. One of the most important things that you can do as you get older is to make a Medicaid plan. 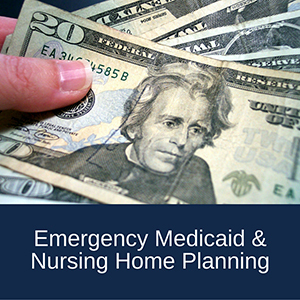 Medicaid planning is designed to ensure you can protect your assets and get nursing home care paid for in the event you require full time care. 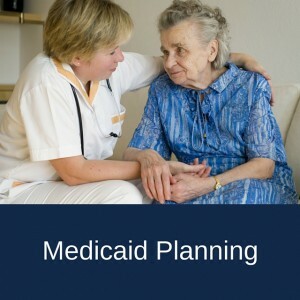 A St. Louis elder law attorney should be consulted to help with Medicaid planning early, well before you actually require nursing care, so your assets can be kept safe. Many veterans who earn benefits through selfless service to their country are unaware of the full extent of the benefits available to them. 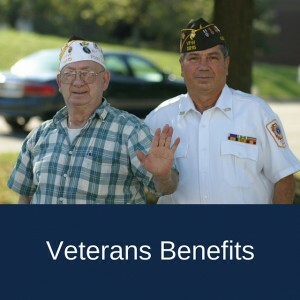 As you get older, develop new health concerns, and incur new costs associated with aging, it is very important that you understand how veteran’s benefits can help you to defray expenses and ensure you are provided for.